Sometimes we buy into the idea that peace is only found in the absence of conflict but that isn't necessarily the case! It may not make sense to us sometimes but if you're in Christ...As you abide in Christ you will be able to experience His peace all the more...even in the midst of troubling or tumultuous times! 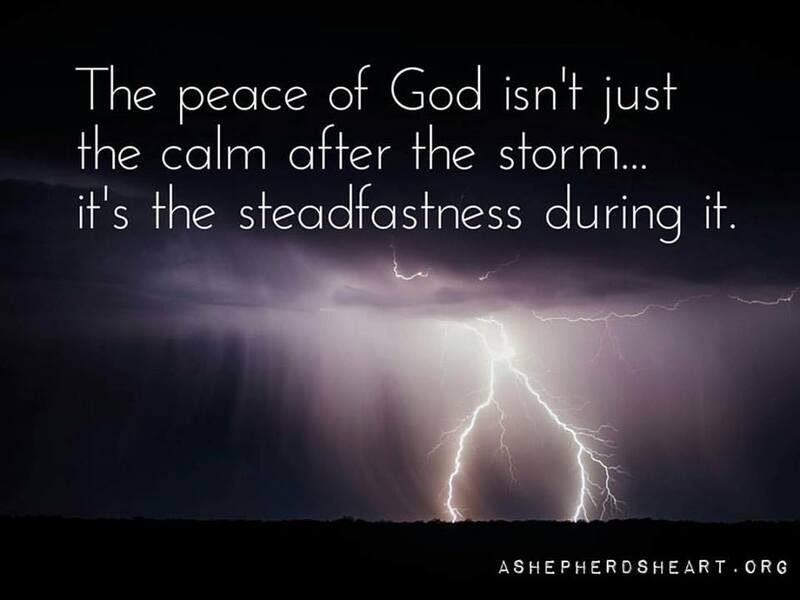 His peace is supernatural and can be found and experienced in any moment including the storms of life. 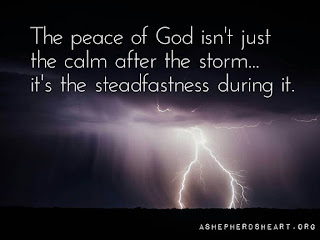 You and I need to seek Him in those good or hard moments because no doubt...He will give you His steadfast peace, love and strength that will help sustain you through that time. The peace of God is truly beyond understanding...but it is available to us through His Holy Spirit. May we seek and find His peace in every moment! I pray that we experience His peace through every season in Jesus name I pray, Amen.